Home / Unlabelled / APGA Candidates Charged To Emulate Obiano On People Oriented Service . APGA Candidates Charged To Emulate Obiano On People Oriented Service . Candidates of the All Progressives Grand Alliance, APGA in the forthcoming general elections have been charged to emulate the people oriented attitude of the Leader and Board of Trustees Chairman of the party, Governor Willie Obiano of Anambra State. A former Special Adviser to the Governor on Political Matters, Chief Chinedu Obidigwe, gave this advice during a meeting of APGA stakeholders at the state headquarters of the party in Awka. Chief Obidigwe described the ongoing distribution of bags of rice by the present state government to civil and public servants including pensioners as another clear evidence of the compassionate nature of Governor Obiano. He recalled that last year, the Governor introduced economic stimulus package in the state to ameliorate the harsh effects of the economic recession on less privileged persons in the state. The former Political Adviser expressed happiness that the ongoing reconciliation efforts of APGA after the recent party primaries is yielding positive results and stressed the need for party faithful to always embrace the “onye aghana nwanne ya” philosophy of the party at all times. Chief Obidigwe who is also the APGA House of Representatives candidate for Anambra East and West Federal Constituency stressed the need for all hands to be on deck for sustenance of the prevailing peace and stability in Anambra in order to enhance the socioeconomic well being of the state. 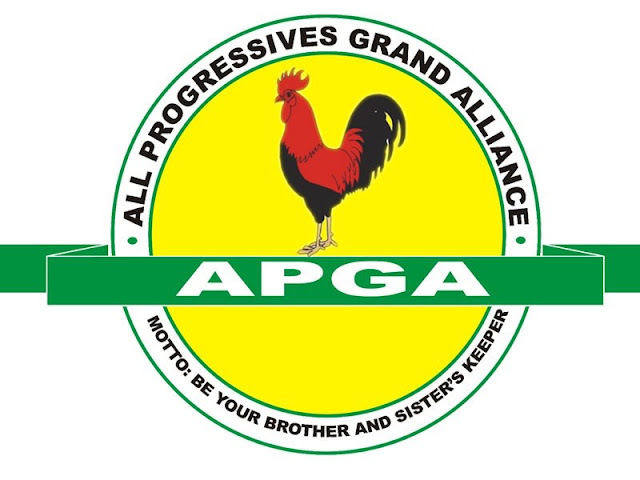 For his part, the National Organising Secretary of APGA, Chief Mike Kwentor expressed optimism that the party would go into the 2019 general elections as a cohesive and united front. Chief Kwentor who is the immediate past Anambra State Chairman of APGA and member of the party’s Reconciliation Committee enthused that the impressive achievements of Governor Obiano in the past four years and eight months would endear the party to the Nigerian electorate in the coming general polls.